Where to get a facial – While I used to be somewhat of a facial addict back in the day frequenting various Bliss locations across the city on a monthly basis, somewhere along the way to becoming a mom (pregnancy) and then launching a website, I stopped carving out much (any?) pampering time. Also, after going greener with most of my beauty products (oh, how I can’t let a good mascara go) it’s not the easiest finding aestheticians who use “clean” products. Here’s where the shame comes in: it’s been over two years since I’ve gotten a facial! Where I will get my next facial is at Between You and the Moon located in Red Hook. I have read amazing things about the facialist and herbalist Emma Graves. She uses a unique triangulator diagnostic method for assessing a skin condition, the underlying cause, and recommending a solution. The solution involves high quality herbs that are sustainable, organic and fair trade when possible. If it wasn’t for the wonderful Brooklyn-based skin products by S.W. Basics I started using a year ago my skin would be crying for one of these facials. Now it’s just whimpering a little. 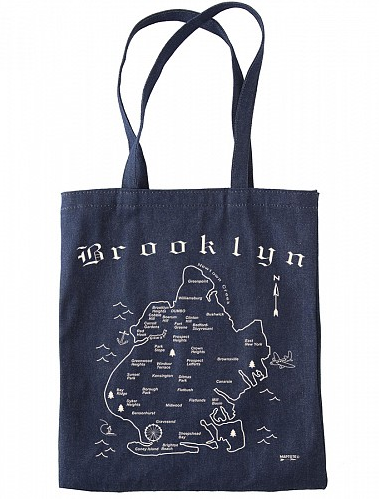 Where to shop for your home – The Brooklyn Flea! Over 250 local and independent vendors ready to fill every void in your home in two separate locations every weekend. It’s hard not to buy something when you go. Just try and go on the earlier side. It fills up real fast once everyone is done with their brunch. Located in Fort Greene on Saturdays and Williamsburg on Sundays. Where to shop for your kids – So many great places. I’ll narrow it down to the place with my favorite children’s section: WORD Bookstore in Greenpoint. You can get everything from a NYC themed board book for an expectant mama friend of yours to a greasy vampire series for your tween niece. I challenge you to walk out without a book for yourself. They do such a wonderful job at not only curating their inventory but also describing their favorites. Where to get a cheap (and delicious) eat – Brought to you by the lovely people at The Brooklyn Flea, Smorgasburg brilliantly hosts over 100 food vendors in two locations every weekend all spring through summer. You can get everything from melt in your mouth donuts to a dish of piled high nachos. OK, you can get a smoothie there too if you want to go the healthier route. Every Sunday in DUMBO and every Saturday in Williamsburg. Where to wine and dine – We love to eat out. And while we like to try a new restaurant as often as our babysitter schedule allows us we definitely have our favorites. One being Northeast Kingdom in Bushwick. It’s the perfect mix of date night and sitting in your friend’s living room. The room is dim but not too dim, tables are close but not too close and the waitstaff is always kind. Most importantly the food is without-a-doubt delicious. The menu is seasonal and the meat is organic yet not a bite of any dish I’ve had has ever been pretentious (especially not the delicious burger). Their cocktail and wine list is also nice, but then again I rarely say no to another round. Where to take in the view – One of my favorite things about living in Brooklyn is that I don’t need a car. I travel on foot whenever possible, I can take the L train from my neighborhood in Williamsburg and be in Union Square in 5 minutes, but oddly enough it can take 45 minutes by subway to get from one side of Brooklyn to the other (bummer). This is where my favorite part comes in: The East River Ferry. I mean how many cities can you travel by ferry? A lot maybe? I’m not sure. Either way I can bet they don’t have the most gorgeous NYC skyline, the glorious Brooklyn Bridge to pass under or the Statue of Liberty to catch a glance of. It makes stops from 34th street to Long Island City, Greenpoint, both north and south Williamsburg, DUMBO and the South Street Seaport. Thanks for taking us along for the ride, Kaity!